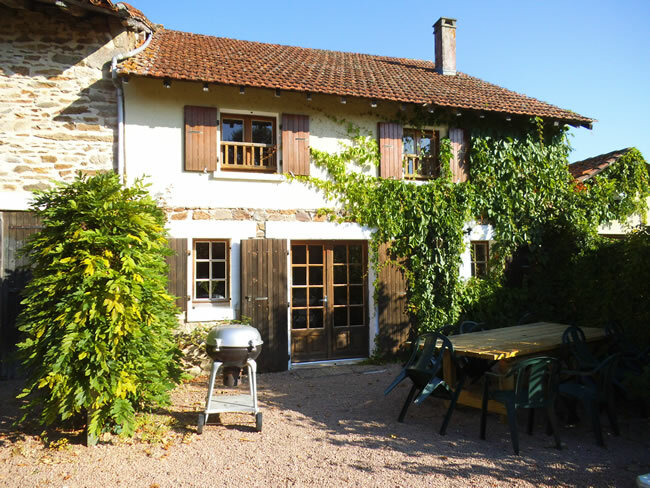 These beautiful holiday cottages are situated in Vieille Abbaye, a small hamlet near St. Saud Lacoussiere, Dordogne. 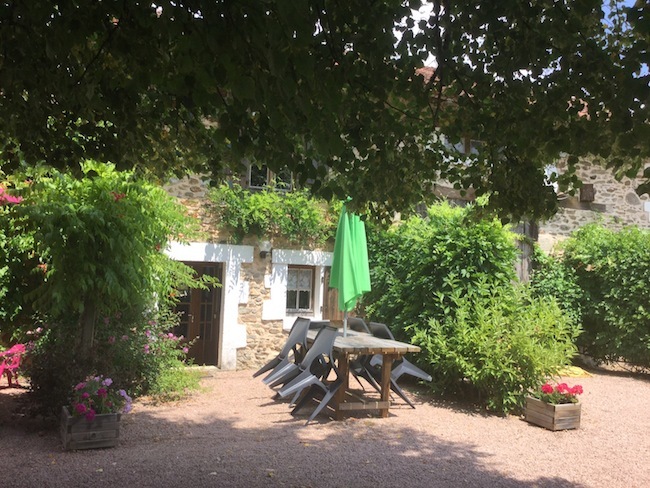 Vieille Abbaye is a small hamlet of a dozen or so houses set deep in the Parc Naturel Perigord / Limousin. One of which dates back to the 10th Century and was once part of an Abbey (hence the name Old Abbey). The village is surrounded by forests, with an abundance of wild life. The Red Squirrel is common as are the Martins and the Sanglier (Wild Boar). There are many different species of birds, some of which are different, eg the Hoopoo and the “hovering” Redstart, and many buzzards and other hawks. The area is ideal for cycling providing safe and quiet country roads for both the serious cyclist and anyone who would like to amble through the wonderful countryside. Centraly located in gourgeous countryside. 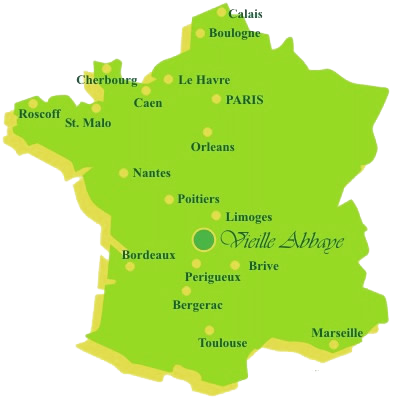 It is possible to fly (using eg Flybe, Ryanair, etc) from some regional airports in the UK to the nearest airports in France. Limoges (50km), Bergerac (100km) with both Bordeaux and Poitiers approximately two hours away. Each house has outdoor tables, chairs and parasols to the front and rear sitting areas and their own barbecue facilities. The lawns and gardens are large with plenty of space for children to play. 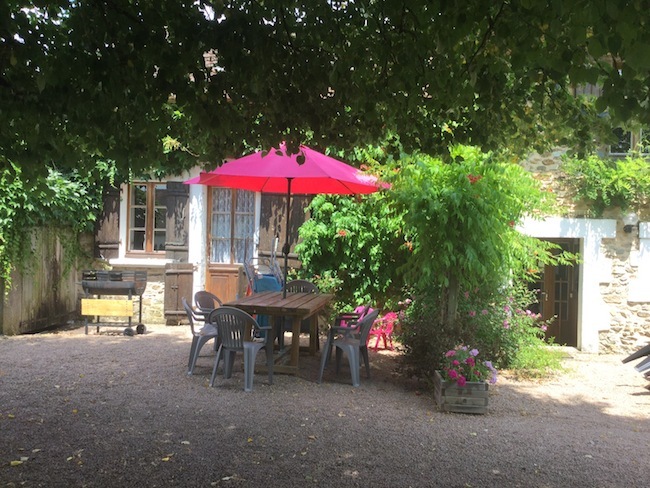 Table Tennis Table, Boules and room to play Rounders or Football. There is ample garden furniture, with sun loungers on lawn beside pool. 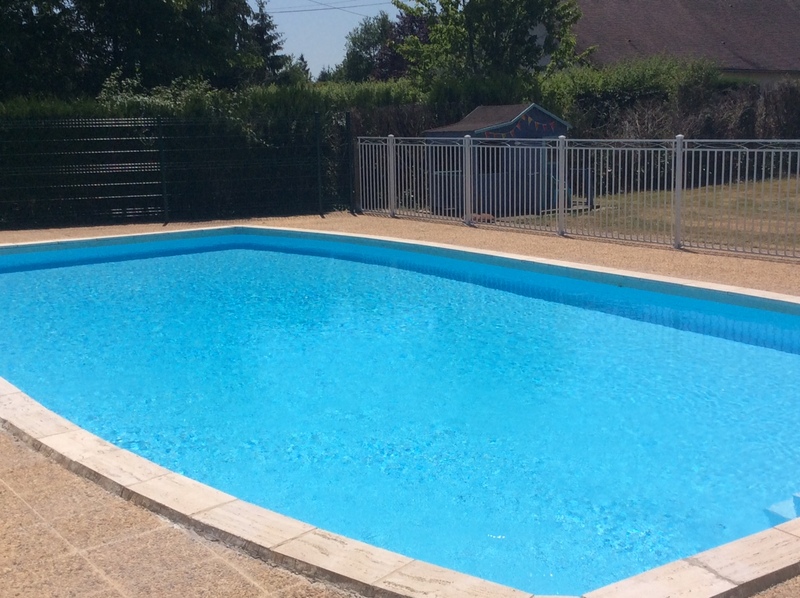 The pool is fully fenced and fitted with a security gate. Internet access is available via WiFi in all the Cottages as well as in the garden and swimming pool areas. On the ground floor it enjoys a large welcoming sitting room with comfortable setees and armchairs. You’ll also find a wood burner in the original fireplace. 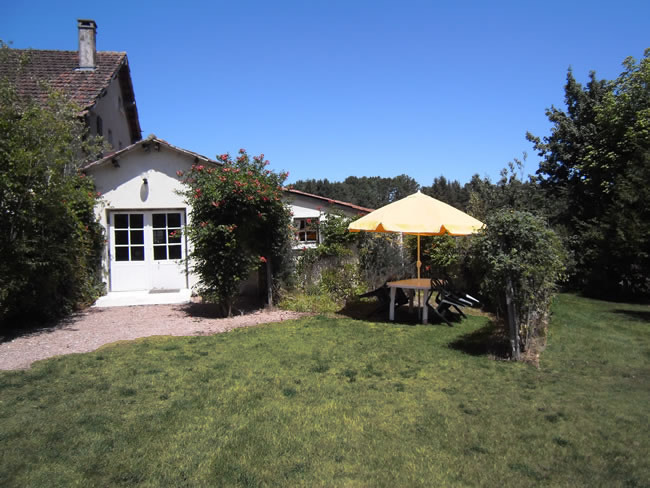 L’ecurie is a single storey cottage, sleeping 4 (+baby). It has a very roomy, open plan kitchen/dining/sitting room with woodburner. Sleeps 5 to 6 plus 1 baby.